ALLEGRA BOVERMAN/Staff photo. Gloucester Daily Times. Gloucester: John Pasierbiak, an American Legion member and volunteer, has been busy preparing lots of turkeys in advance of Thanksgiving on Wednesday afternoon. 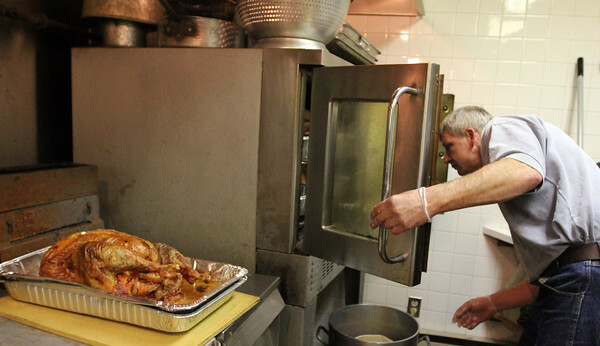 By 3 p.m. 15 turkeys had been prepared, each weighing about 22 pounds. The American Legion hosts an annual dinner on Thanksgiving which is free and open to the public at their hall on Washington Street, and pack up and deliver hundreds of full meals to people in the area.